Have you ever been interested in having your future read? Then you’re in luck! Local fortune teller Katherine Keeping will be at the Mary J.L. Black Library in April, providing mini tea leaf readings on April 9th and mini tarot card readings on April 23rd. Keeping is a woman of many talents: along with card and tea leaf readings, she also offers crystal, aura, and sand readings. “Tea leaf reading is my favourite,” Keeping says when asked what her favourite method of fortune telling is. Keeping doesn’t just offer readings; she also works with a variety of energy healing practices (she is a Reiki Master, and practices Therapeutic Touch and Crystal Surgery), and studies the healing powers of the earth’s crystals. If you’d like to learn more about Keeping, check out the interview we have with her from earlier in March. In it, she talks about how she got started fortune telling, the teas she likes to use for tea leaf readings, the tarot spreads she will be using for the readings she’ll be doing at Mary J.L. Black, and more! If you don’t want to wait until April, but want to learn a bit more about fortune telling, be sure to stop by the library – we’ve got some fantastic resources available for you. 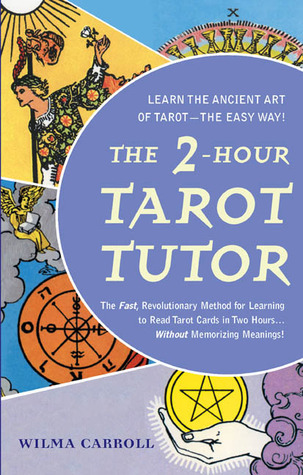 One of my favourite books on Tarot reading is Wilma Carroll’s The 2-Hour Tarot Tutor, which promises to teach you how to read tarot cards in just two hours! Rather than asking you to spend time memorizing the meanings of all the cards, Carroll instructs you on how to look at the individual cards and discover the messages they are telling you. It’s a quick and easy-to-read book that will have you reading Tarot cards in no time! Along with physical books, we’ve also got a few titles available as ebooks through Overdrive, like Eden Gray’s The Complete Guide to the Tarot and Rachel Pollack’s The New Tarot Handbook. 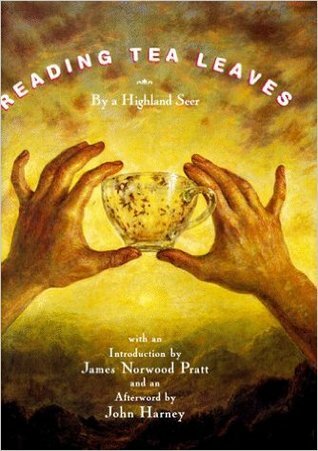 If you’re more interested in trying your hand at reading tea leaves, we’ve got the perfect book to get you started: Reading Tea Leaves by a Highland Seer. Reading Tea Leaves is a copy of the oldest English manuscript on tasseography, written by an unnamed author, accompanied by some more modern history and philosophy on reading tea leaves. The introduction by James Norwood Pratt is a lot of fun; he talks at length about his start with tasseography and digs into the history of different divination techniques, before bringing the conversation back to reading tea leaves. Pratt asserts that reading tea leaves is fun and more light-hearted than other methods of divination. The unnamed author then takes over, giving a rundown of how to read tea leaves and some interpretations to get you started. Reading Tea Leaves is a lot of fun; it’s a fantastic read that’s sure to help you on your journey into tasseography! And don’t forget to sign up for Katherine Keeping’s mini tea leaf readings on April 9th or mini tarot card readings on April 23rd at the Mary J.L.Black Library. Registration opens two weeks prior to the date of the program; please register by phone, through our online calendar, or in person at any of our branches. Spaces are limited, so be sure to register early!